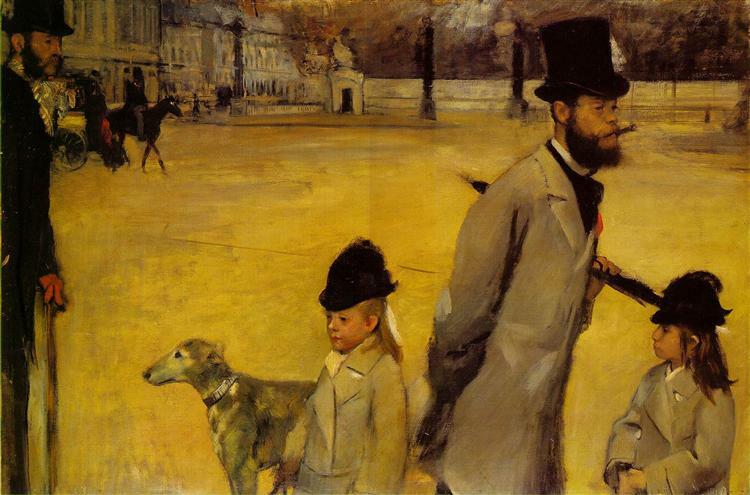 Degas’ early masterpiece, The Bellelli Family depicts his aunt, her husband and their two little girls. It is believed that the artist drew each of the figures individually, later combining them in this unique portrayal of their family dynamic. The woman, Degas’ aunt Laura, wears a black dress in mourning for her recently deceased father, whose portrait hangs on the wall behind her. It is likely that this portrait hung at the Paris Salon of 1867, but it was badly hung and as a result was largely ignored by the critics. 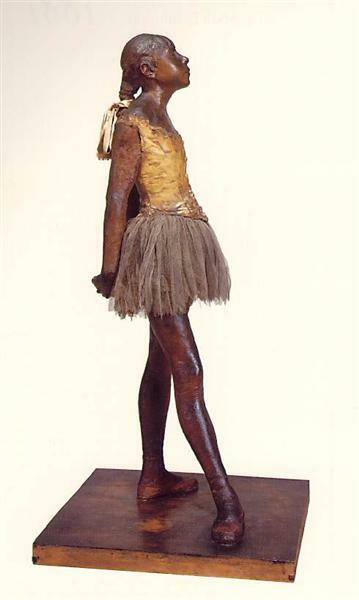 As a result, Degas kept it in his personal collection, where it remained until he left it to his dealer in 1913. In 1918, after his death, it was revealed an exhibition of the artist’s estate, and was immediately bought for 400,000 by the Luxembourg Museum. 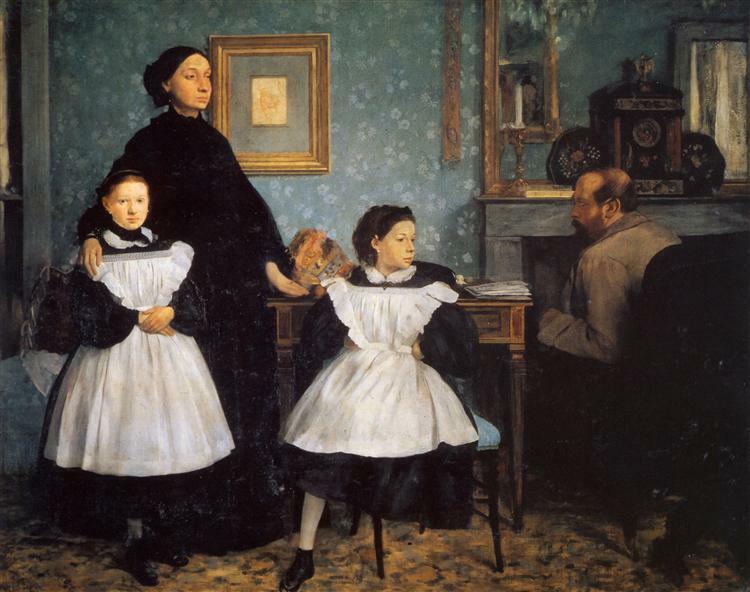 The Bellelli Family, also known as Family Portrait, is an oil painting on canvas by Edgar Degas (1834–1917), painted ca. 1858–1867, and housed in the Musée d'Orsay. 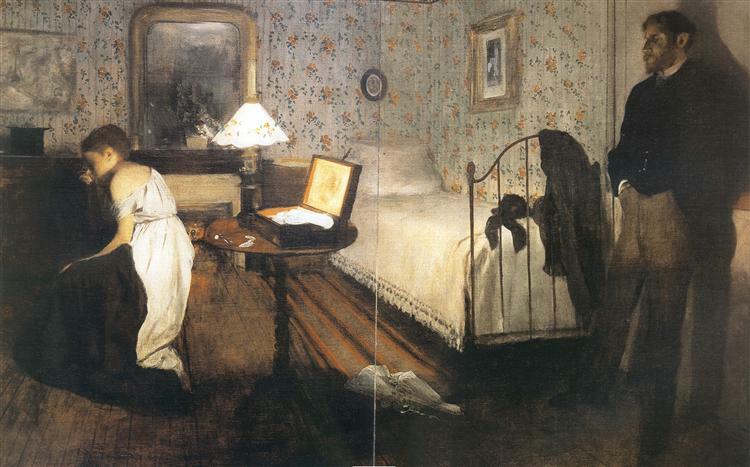 A masterwork of Degas' youth, the painting is a portrait of his aunt, her husband, and their two young daughters. 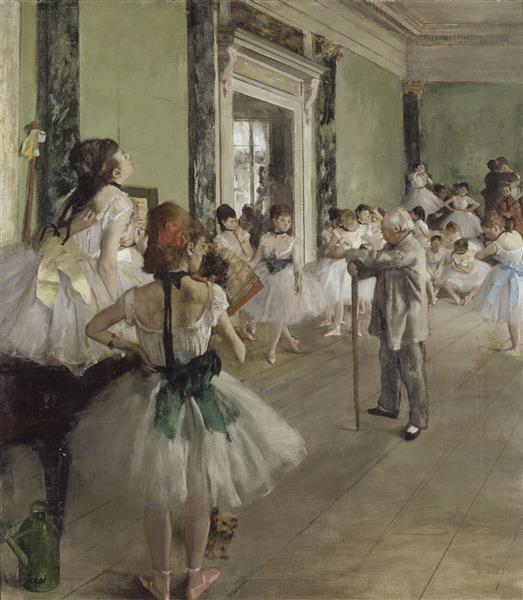 While finishing his artistic training in Italy, Degas drew and painted his aunt Laura, her husband the baron Gennaro Bellelli (1812–1864), and their daughters Giulia and Giovanna. 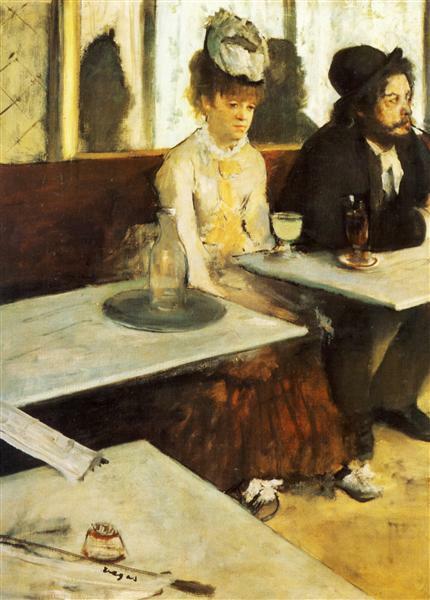 Although it is not known for certain when or where Degas executed the painting, it is believed that he utilized studies done in Italy to complete the work after his return to Paris. Laura, his father's sister, is depicted in a dress which symbolizes mourning for her father, who had recently died and appears in the framed portrait behind her. The baron was an Italian patriot exiled from Naples, living in Florence. Laura Bellelli's countenance is dignified and austere, her gesture connected with those of her daughters. Her husband, by contrast, appears to be separated from his family. His association with business and the outside world is implied by his position at his desk. Giulia holds a livelier pose than that of her sister Giovanna, whose restraint appears to underscore the familial tensions. 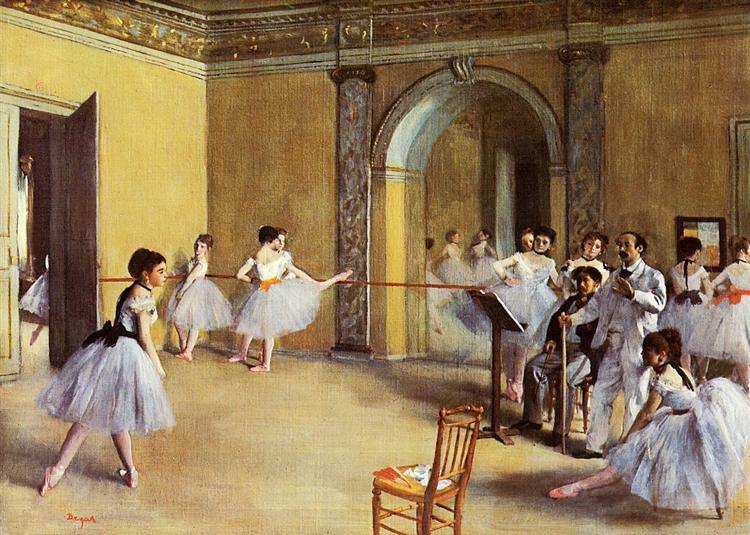 In 1856 Degas left his home in Paris to study art and visit family relations in Italy, arriving in Naples on 17 July. 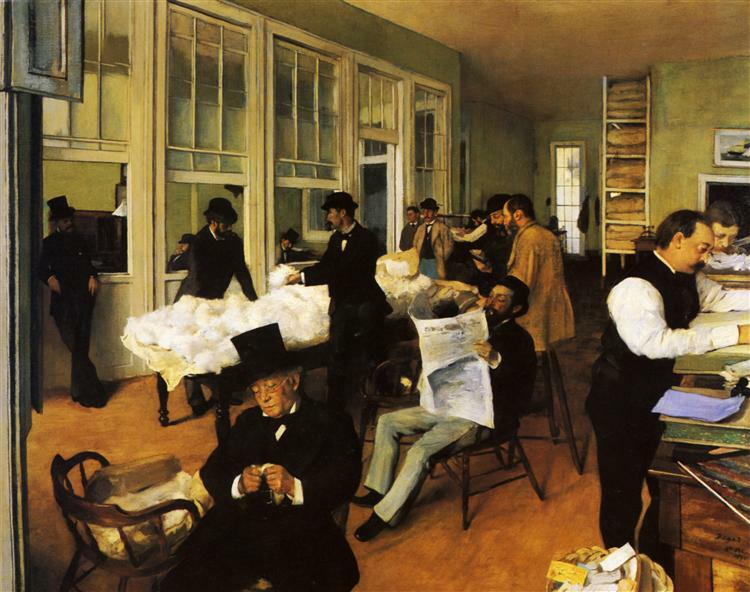 In 1857 he traveled between Naples, where he stayed with his grandfather, Hilaire Degas, and Rome. At the end of July 1858 Laura Bellelli wrote to Degas from Naples, inviting him to stay with her in Florence; it was there that Gennaro Bellelli, who had been a political journalist supporting the fight for Italy's independence, took refuge from Austrian persecution after defeat of the Revolution of 1848. 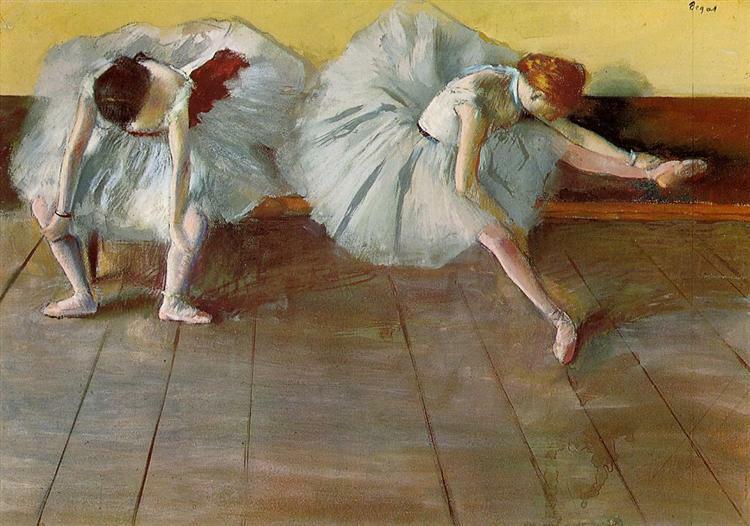 Degas arrived in Florence by 4 August, living with his uncle Gennaro and making studies in the Uffizi. 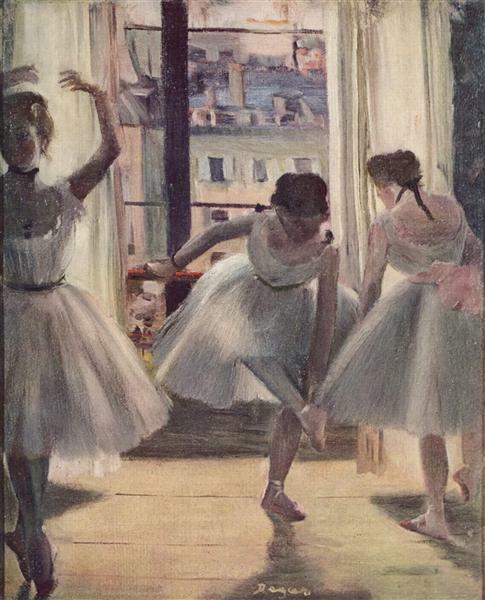 By September he had become bored, did not get along well with Gennaro, and remained only to see Laura, Giovanna, and Giulia, who had prolonged their stay in Naples following the death of Degas' grandfather Hilaire on 31 August. 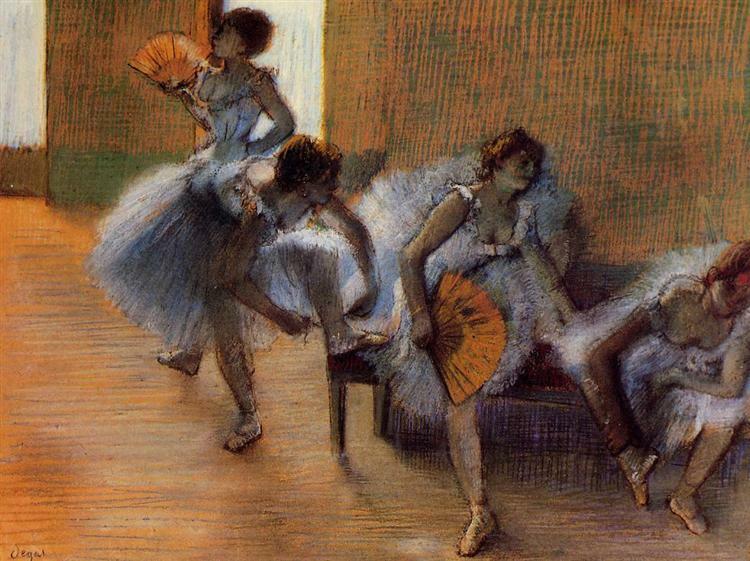 That there were strains within the Bellelli household at the time was almost certainly noticed by Degas, and confirmed by another uncle: "The domestic life of the family in Florence is a source of unhappiness for us. As I predicted, one of them is very much at fault and our sister a little, too." 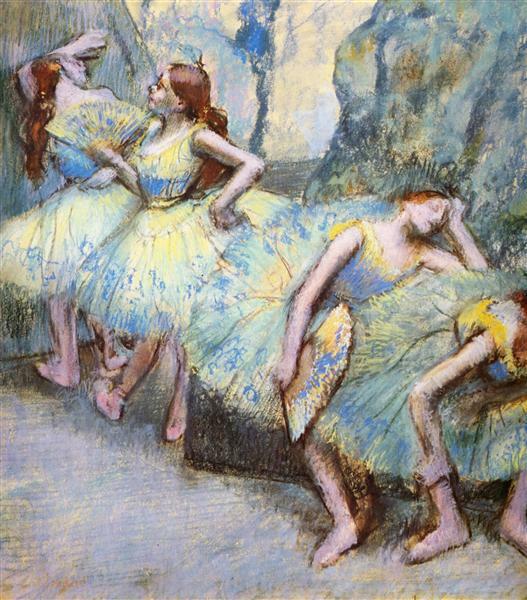 Laura subsequently confided to Degas that, living in exile, she missed her Neapolitan family, and further, that her husband was "immensely disagreeable and dishonest... Living with Gennaro, whose detestable nature you know and who has no serious occupation, shall soon lead me to the grave." Laura Bellelli was pregnant at the time, and it has been suggested that this circumstance, and the subsequent death of the child in infancy, may have contributed to her unhappiness and to domestic tensions in general. These conflicts would provide both background and content for the painting.